This Kansas state banner was donated by the office of Governor Mark Parkinson following renovations of the Statehouse. This version of the State Banner, designed by Adjutant General Joe Nickell, was adopted in 1953. First established in 1925, the state banner was an official alternative to the state flag. 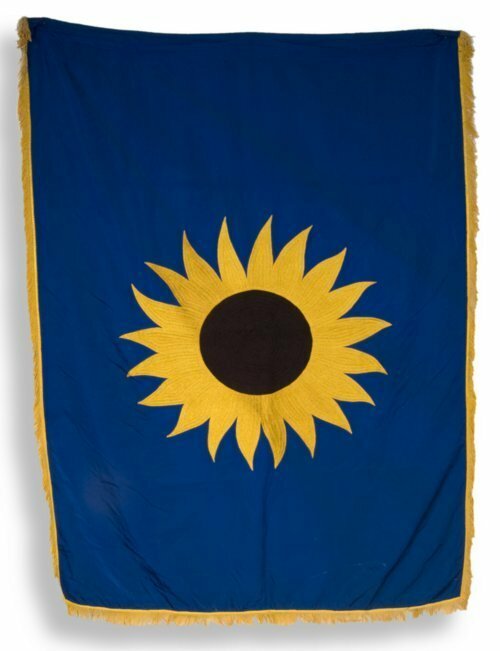 This banner was manufactured by the Dettra Flag Company of Oaks, Pennsylvania, and had hung in the Governor and Lieutenant Governor's offices since 1955.